Both depression and diabetes have been found to be risk factors for dementia. This study examined whether comorbid depression in patients with diabetes increases the risk for dementia compared to those with diabetes alone. We conducted a prospective cohort study of 3,837 primary care patients with diabetes (mean age 63.2 ± 13.2 years) enrolled in an HMO in Washington State. The Patient Health Questionnaire (PHQ-9) was used to assess depression at baseline, and ICD-9 diagnoses for dementia were used to identify cases of dementia. Cohort members with no previous ICD-9 diagnosis of dementia prior to baseline were followed for a 5-year period. 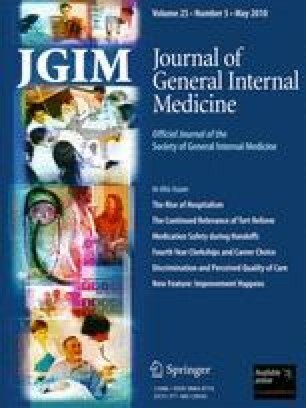 The risk of dementia for patients with both major depression and diabetes at baseline relative to patients with diabetes alone was estimated using cause-specific Cox proportional hazard regression models that adjusted for age, gender, education, race/ethnicity, diabetes duration, treatment with insulin, diabetes complications, nondiabetes-related medical comorbidity, hypertension, BMI, physical inactivity, smoking, HbA1c, and number of primary care visits per month. Over the 5-year period, 36 of 455 (7.9%) patients with major depression and diabetes (incidence rate of 21.5 per 1,000 person-years) versus 163 of 3,382 (4.8%) patients with diabetes alone (incidence rate of 11.8 per 1,000 person-years) had one or more ICD-9 diagnoses of dementia. Patients with comorbid major depression had an increased risk of dementia (fully adjusted hazard ratio 2.69, 95% CI 1.77, 4.07). Patients with major depression and diabetes had an increased risk of development of dementia compared to those with diabetes alone. These data add to recent findings showing that depression was associated with an increased risk of macrovascular and microvascular complications in patients with diabetes. This study was supported by NIMH R01 MH073686 (Von Korff) and NIMH K24 MH069741 (Katon). The authors would like to acknowledge Jürgen Unützer, MD, MPH, for providing critiques for this manuscript. Dr. Katon had received honorariums for lectures from Wyeth, Eli Lilly, Forest, and Pfizer pharmaceutical companies and serves on the Advisory Board for Eli Lilly and Wyeth. Dr. Von Korff has submitted a grant to Johnson & Johnson, but its award status is still pending. Dr. Paul Ciechanowski is CEO and founder of Same Page, Inc., a consulting company providing services for improving patient-provider relationships. Dr. Lin has received honorariums from Health Star Communications and Prescott Medical.